Andreja Milas is a Master of Economics with more than 20 years of experience in the field of tourism. 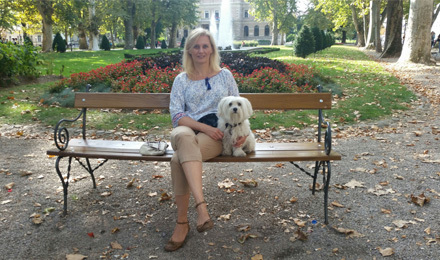 She had launched and successfully managed Wellness Product in travel agency Generalturist and was first in Croatia to create a Wellness catalogue containing the best destinations and their offers, which was regularly published on the market during 10 years. She is a big lover of animals, travelling, good music and food.